We provide renewable energy solutions to domestic, commercial and public sector customers. We are committed to increasing the use and awareness of renewable technologies throughout India. The person who carries out your free consultation will run the installation from concept to completion. They will understand your requirements and be present throughout the installation to answer any questions you may have as the work progresses. dedicated team of experts will assist you. Remember when solar stocks were in high demand? When everyone wanted a piece in renewable energy levels? That time is back. Although early last year, the demand dropped, and along with it the stock prices, renewable energy is making a comeback. The solar market is booming, and now is the time to get in. With the pending changes, individuals and businesses are scrambling for alternatives. Solar energy is becoming the new go-to, and investors know this. This is the first reason stocks are about to rocket. Solar stocks were expected to drop in anticipation of the end of the tax cuts. Now that these credits will be available for the foreseeable future, investors will be even more eager to buy into the market. Now, because of these advances, and the increased awareness of the impacts of fossil fuels, it is not just consumers who want to make changed. Governments are more aware of the urgency of the energy situation, and because of the deal, will need to find alternatives. So, according to Markets, now is a great time to invest in solar. The market is certainly going to boom, with industry leaders seeing huge increase in demand. It’sdefinitely worth serious consideration, and could make investors a lot of money in the short and long term. The installed capacity of solar power in India has crossed the milestone of 5,000 MW as on 14 January 2016. The cumulative installed capacity has reached to 5130 MW with the capacity addition of 1385 MW in current FY2016. The state of Rajasthan stands first in the country with 1264 MW capacity, followed by Gujarat (1024MW), Madhya Pradesh (679 MW), Tamil Nadu (419 MW), Maharashtra (379 MW) and Andhra Pradesh (357 MW). The Government has set the ambitious target of generating 100 GW of solar power by the year 2021-22 under the National Solar Mission. It is envisaged to generate 60 GW ground mounted grid-connected solar power and 40 GW through roof-top grid interactive solar power to fulfill the 100 GW of solar power. The Ministry has also fixed year-wise targets to monitor the solar power generation in the country. The target for the current year is 2,000 MW and next year target is 12,000 MW. The Ministry is putting all efforts through various schemes of Central Government and State Governments to achieve the targets. It has been planned that around 18,000 MW tender should be out by 31 March 2016. 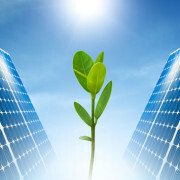 To achieve above stated objective, the Ministry of New & Renewable Energy has initiated several projects like Scheme for Development of Solar Parks and Ultra Mega Solar Power Projects; Scheme for Development of Solar PV Power Plants on Canal Banks/ Canal Tops; Scheme for setting up 300 MW of Grid connected Solar PV Power Projects by Defense Establishments under Ministry of Defense and Para Military Forces with viability Gap Funding; Scheme of setting up 1000 MW of Grid- Connected Solar PV Power Projects by CPSUs with Viability Gap Funding ; Scheme for Setting up of 15000 MW of Grid connected to achieve this target. Solar PV Power Projects by NTPC/NVVN; Setting up of 2000 MW Grid connected solar power with Viability Gap Funding through Solar Energy Corporation of India (SECI). This apart, an ambitious scheme has been launched by the Ministry for roof-top solar installation. Various state governments are coming up with solar power projects under their own policies. India is blessed with immense solar potential. With about 300 clear, sunny days in a year, India’s theoretical solar energy incidence on its land area alone is about 5,000 trillion kWh per year, against production of 1.3 trillion kWh in 2014-15. 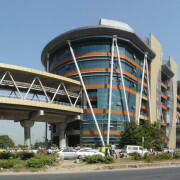 Rajasthan, Jammu & Kashmir, Madhya Pradesh and Gujarat have the maximum potential. The availability of barren land in these states increases the feasibility. The government’s target of 100 GW of solar by 2022 is a bold step. Out of this, 20 GW is planned from solar parks and 40 GW each from roof-top and distributed generation. Solar energy is set to become an integral part of electricity generation in India. The recent agreement at COP 21 in Paris, and India’s initiative to form a global solar alliance will enhance the capability of Indian solar industry. 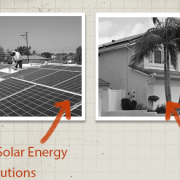 Solar roof top projects can play a significant part in decentralised generation. However, this space has seen little progress. The current focus is on grid connected plants; off grid will only play a modest role. Installation of small grid connected projects is also fragmented. The technology is early stage and cost is high. Energy is sold to state DISCOMs. Large-scale mega-watt size projects are quite viable. The government has introduced reverse bidding for these. Reverse bidding definitely provides healthy competition but ignores the quality of assets in an even playing field. The competition to win the projects through auctions has resulted in some sub-standard assets. Therefore, it is a challenge for the industry to trade-off between cost and quality. Mega size projects are backed by Private Equity (PE) players, who have major stake in Independent Power Producers (IPP). These PE institutional investors have global perspective and have significant exposure to emerging markets like India. They are the major drivers of the market with clear focus on Return on Investment and exit valuation. In the current scenario, the Investment Rate of Returns (IRR) is in the range of 14-16 %, which does not include currency risk. If the currency risk is hedged, ROI will be lower. But the critical aspect for the PE investor is exit valuation, which is predominantly based on cash flow and quality of the assets. Since there are no projects that have withstood entire life cycle in India, there is a major risk for debt financiers as well. Therefore, it is paramount for industry, utilities and IPP’s to work together to alleviate the risks in order to attract investments. Can India’s domestic players compete with global players? It seems access to low cost capital is an issue. For India to achieve its long term vision and scale, domestic players need to be viable and have access to capital under substantially similar terms as global players. Arid and dusty regions dominate potential solar sites. These dusty environments call for regular washing of panels. Availability of water and its costs needs to be factored in calculations. The stability of grid is vital. Large scale solar projects can pose grid stability challenges when solar power is suddenly reduced or not available. Spinning reserves are the only effective large-scale option used globally. Bulk of India’s capacity is from coal which is unsuitable as spinning reserves. Hence, new gas plants need to be built to back up solar. Also harmonics fed by solar generation distort the wave form and increase T&D losses. Therefore, it is paramount that Grid Code Compliance (GCC) is made a requirement before the projects are commissioned. India is a responsible nation and has volunteered to cut carbon emissions. The government’s decision to promote renewable energies like solar and wind is in the right direction. India will be one of the world’s largest markets for solar and wind, and as such, is attracting major financial investors and large global utilities. 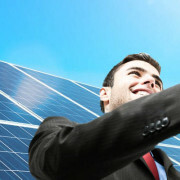 There are ample opportunities for solar energy developers. The government has played a positive role in the recent 500 MW auction by addressing land acquisition, evacuation, and off-take by a reputable company like NTPC. For India to reach its 100 GW solar goal by 2022, we must require clear standards to ensure good asset quality and grid code compliance. In addition, India also needs to create spinning reserves and factor their cost in the big picture. India has set an ambitious target of generating 100,000MW of solar energy by 2022 but does not have the technology to process sand into silicon, forcing its import in huge quantities, a top scientist said. “As silicon is not produced in the country, we are totally import-dependent for it. Though we have plenty of sand as raw material, we don’t have the technology to process it into silicon wafers for solar cells or panels,” former Atomic Energy Commission chairman Srikumar Banerjee told IANS in an interview at the 103rd Indian Science Congress here, about 140km from Bengaluru. Asserting that solar power would reduce carbon footprint in the long-term, Banerjee said energy generated from cells or panels was, however, 20-25 percent of the installed capacity as against 80 percent from a nuclear plant. “As setting up a solar plant is highly capital intensive owing to import of silicon for panels or photovoltaic cells, its power can only complement nuclear or other forms of energy, including renewable and conventional,” Banerjee said on the occasion. Though India is a tropical country above the equator, with plenty of sunshine, especially in western, central and southern regions for at least 10 months, harnessing its energy and distributing it with minimum loss at source or in transmission is a challenge for its stakeholders in the absence of a ecosystem yet. “Unlike nuclear, which is a concentrated form of energy, solar is a distributed form, enabling us to have a mix of different sources. Both complement as they emit very low carbon footprint,” Banerjee said after delivering a special address on ‘Atomic Energy’ in a plenary session in the University of Mysore campus. “We can have any installed capacity but what determines its utility and value is the quantum of energy produced in units per hour. A 1,000mw solar-based plant will not produce more than one-third of what a nuclear or thermal-based plant does per hour,” Banerjee pointed out. Ironically, for various reasons, every energy form has issues, including environmental, economic, social and political, which delay execution, leading to cost escalation and shortage in view of the growing demand for power across the country. “Our per capita electricity consumption is about 800 kilowatt per hour, with 25 percent of the population still having no access to power. In contrast, the world’s per capita consumption of power is 2,600 kw per hour. We have to generate four times the present output to meet the energy needs of our population, which will be about 1.4 billion in 20 years (2035),” Banerjee noted. 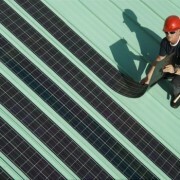 As domestic manufacturing of solar cells and panels was limited, the country is dependent on imports from China and other countries, including Germany. “Even if we invest a lot to produce energy from renewable solar and nuclear sources, our dependence on fossil fuels like coal and natural gas will continue though we can reduce proportionately to check carbon emission from thermal power units,” he added. In a related development, the government on December 30 hiked the budget for tapping solar energy through rooftop installations across the country to a whopping Rs. 5,000 crores from Rs. 600 crores earlier. The increased budgetary support will enable utility providers to source power generated from rooftops solar systems through a grid over the next five years under the National Solar Mission. An estimated 4,200 MW of solar rooftop systems are expected to be installed over the next five years on residential, government, social and institutions sectors such as hospitals and educational buildings. 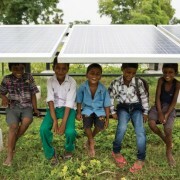 A KPMG study shows that the cost of solar power in India, revealed by public auctions, is barely half a cent above that of cheap local coal , writes Chris Goodall, with generators bids falling well below 5p (UK) / 7¢ (US) per kWh. The idea put about at COP21 that India and other poor but sunny countries need coal to develop their economies is fast running out of steam. When the accountants have fully loaded the network and other costs PV ends up as very slightly cheaper than using lndian-mined coal. And, of course, this advantage will grow as solar gets cheaper. Commentators eager to arrest the move towards renewable energy are facing increasing difficulties finding arguments for the continued use of fossil fuel. The latest attempt to justify the use of carbon fuels is that ‘otherwise people in poorer countries will never get electricity’. Coal is vital, they say, for the alleviation of the conditions of life in less developed countries. I have recently finished a draft of a book chapter on the growth of solar around the world. The very unpolished extract below is largely based on an exceptional piece of work by KPMG India on the likely evolution of the costs of solar versus coal in that country. I think their conclusion – essentially that solar is already competitive with coal even after including distribution charges and grid integration costs, and will become much cheaper in future – is an effective response to the ‘coal alleviates poverty’ meme. Governments are increasingly using open auctions as the means by which they attract developers into building solar farms. Each participant offers an electricity price, expressed in cents per kilowatt hour, for power from individual locations. The past year (2015) has seen a sharp decline in the prices bid into these auctions everywhere around the world. India is a good example as it begins its drive to get electricity to all its huge population. In 2014 developers offered to build solar farms for payments of an average of about 7 rupees per kilowatt hour. That’s around 10 US ¢, or 7 UK pence at current exchange rates. Three state auctions in the third quarter of 2015 in Madhya Pradesh, Telangana and Punjab saw offers of just over 5 rupees (5p / 7.5¢). The Indian press openly speculated that these offers were too low to be profitable for their developers. But in November 2015 another round of tenders in Andhra Pradesh in south east India resulted in a low bid of 4.63 rupees (about 4.6p / 7¢ per kilowatt hour). This was for sites totalling 500 MW and was won by the US company SunEdison, the world’s largest renewable energy developer. It currently claims to be installing 4 gigawatts of capacity a year around the world. In the face of this evidence of expertise from the bidder, this time the scepticism about the viability of the price was more muted. Just before the Andhra Pradesh auction was completed, accountants India KPMG released a detailed report on the state of PV in their country. “We see solar power becoming a mainstay of our energy landscape in the next decade”, they wrote. As we all tend to be, they were still cautious about future solar PV bids. KPMG’S best guess for auction prices was 4.20 rupees per kilowatt hour (about 4.2p / 6.3¢) by 2020, only about 10% more than the SunEdison November 2015 bid. What matters most in India is how well these numbers compare to electricity from inexpensive locally-mined coal. KPMG says that the current cost of power from this source is about 4.46 rupees (4.5p / 6.7¢) per kilowatt hour, about 4% below the November 2015 record low bid in Andhya Pradesh. But in a power station using some imported coal, the accountants calculate, the cost would be higher than solar. In India, PV is now directly competitive with some coal power stations and by 2020 it will be 10% cheaper, KPMG conclude. They predict that the raw cost of solar electricity from big solar farms will be 3.5 to 3.7 rupees by 2025. (Around 3.6p / 5.5¢). If history is any guide, they are being pessimistic. These numbers are not complete. We also need to include the cost of getting the electricity to the final consumer. In many countries this penalises solar but not so in India, says KPMG. Many of the coal plants are hundreds of kilometres away from the centres of electricity demand so the relative attractiveness of solar is improved when electricity distribution costs (‘network charges’) are fully included. In fact when the accountants have fully loaded the network and other costs PV ends up as very slightly cheaper than using lndian-mined coal. And, of course, this advantage will grow as solar gets cheaper. You are entitled to respond by saying that PV only produces electricity, even in the sunniest parts of India for an average of 12 hours a day. When people want light to read, cook or study, it isn’t available. (Solving this problem is what much of the rest of the book is about). But what we may not have known is that almost 20% of all Indian electricity demand at the moment is used for pumping water for irrigation. This can easily be carried out solely in the daytime. At the moment PV only provides a tiny fraction of Indian electricity. But it will grow rapidly with strong backing from the Modi government and from the favourable underlying economics. As in other countries around the world, it will then start to become increasingly costly to run the grid to cope with the unpredictability and diurnal variability of solar power. More PV means more batteries to help stabilise the voltage of the grid, for example, in the event of unexpectedly high or low sunshine. And, very sensibly, KPMG also includes a cost for the financial impact of coal fired power plants working fewer and fewer hours as solar soars. This is a real financial burden because running the fixed costs of these power stations will be spread across a smaller electricity output. By 2025, what are the impacts of these charges, usually known as ‘grid integration’ costs, once PV has become a really significant portion of all electricity production? KPMG thinks the figure for India will be about 1.2 rupees (1.2p / 1.8¢) per kilowatt hour. This is roughly in line with estimates for other countries. Even after including this figure, PV is still cheaper than coal in 2025 and then provides 12.5% of all Indian electricity from about 166 GW of installed capacity. 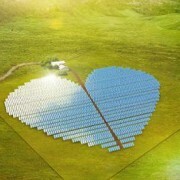 Most of the KPMG work is focused on the finances of building ground-mounted solar farms for large-scale production. But it also looks at two specific applications: driving agricultural pumping operations (a task often performed by highly polluting diesel generating sets at the moment) and, second, what the accountants call the ‘Solar House’. What do they mean by this? They go on to get really excited about Solar Houses. When have you ever seen accountants write like this before? KPMG expects 20% of Indian houses to have PV by 2024/25. The authors make the point that once residential batteries have come down in price sufficiently, householders have a clear and unambiguous reason to switch to solar. It will be cheaper than being connected to what may be an unreliable and possibly expensive grid. Solar panels installed on homes across are accounting for a growing percentage of the electricity the country produces. Sustainability experts are predicting rooftop solar energy could eventually account for a quarter of all power needs, driven in part by the installation of large battery storage systems in the family home. In Western rows of solar panels installed on suburban roofs are now producing as much electricity as the state’s largest power turbine. It’s part of a growing national trend that will see household solar energy meet a quarter of all electricity needs by 2020. As Anthony Stewart reports, experts are predicting this boom will be driven by the installation of super-sized batteries in the family home. With 130 days of clear sunshine a year, the West capital Perth is in the midst of a solar boom. Twenty per cent of the city’s homes are now generating electricity from rows of rooftop solar panels. Chris Meredith has a system on his roof. We’ve got eight panels installed and, as I said, they’re on the west-facing roof. We’re they’re starting to get the sun now. It’s coming up towards the middle of morning, so they’re starting to pump out the electricity. How much power can we see this machine producing? What is it doing? It’s producing about 1.2 kilowatts at the moment, but it will get up to close to two kilowatts in the afternoon. Peter Newman is a Professor of Sustainability at Curtin University. We are in the extraordinary position of saying that Perth now has rooftop solar as the largest supplier of electricity. It’s the biggest power station in WA. We’re nearly 500 megawatts, and it’s growing rapidly. So by 2020 we could well have half of Perth’s households with rooftop solar. We’re 20 per cent now. That does that mean for the electricity grid? \It’s a real problem for the utilities to come to terms with, because they didn’t predict it. They have all these contracts for coal and gas that go 20 or 30 years, despite the boom times, we’ve actually reduced our electricity consumption during this period because people are just not needing it if you’ve got the PVs on the roof. Rooftop solar’s biggest weakness has been its inability to produce power once the sun sets. This can be addressed with installation of large battery systems that allow households to store solar energy for use in peak periods, but until recently these have been expensive. Darren Gladman from the Clean Energy Council says in 2016 household batteries will become increasingly common, with big producers like billionaire entrepreneur Elon Musk’s company Tesla entering the market. The onset of batteries and the entry into the market of providers like Elon Musk is going to really change the way people think about energy, so that we’re not just thinking about producing electricity from solar, but also storing it and managing it ourselves. He says will become a global leader in the roll-out of battery technology. Because we’ve got so many households with solar on the roof, reasonably high electricity prices, and great sun, of course, means that we’re a prime market for batteries. So that makes us one of the first markets that people like Elon Musk, but other companies that sell batteries as well, are targeting. The Clean Energy Council’s Darren Gladman ending Anthony Stewart’s report.